Our friends at Fantaspoa in Brazil are gearing up for their annual genre film festival. Held in the coastal town of Porto Alegre this will be the festival's fifteenth year, devoted to bringing scares and thrills to local genre fans. They announced the first wave of titles today and there are some doozies in there. My friend Justin McConnell is leading the charge of Canadian titles with his latest, Lifechanger. Rob Grant will attend the festival with his film Alive. Rounding off the trio of titles is The Hoard from Jesse Thomas Cook and Matt Wiele. Other titles of note are the cosmic horror Starfish, Josh Lobo's I Trapped the Devil and a couple titles from Argentina, You Have No Idea Who You're Talking To from Terrified's Demian Rugna and Punto Muerto (Dead End) from Daniel de la Vega. This is just the first wave. You can see white Fanaspoa is one of the premiere Latin American genre festivals. We just gotta find a way to get ourselves down there now. Someone can have my plate of feijoada until that time comes. 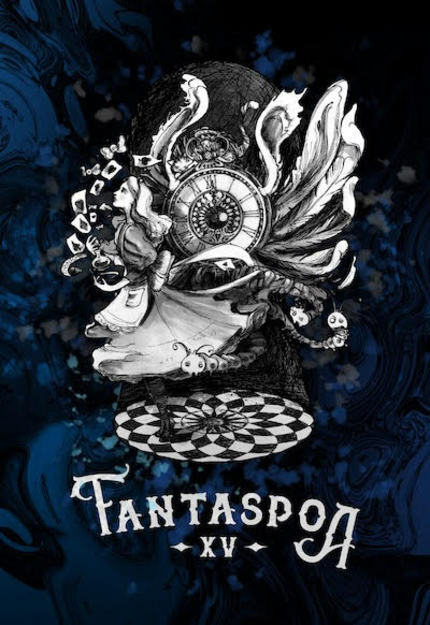 Porto Alegre, Brazil - April 10, 2019 - Brazil's Fantaspoa, the largest genre film festival in Latin America, is proud to reveal the first wave of films selected for their upcoming fifteenth edition, running from May 16th through June 2nd, 2019. The celebrated film fest, which takes place annually in Porto Alegre will announce their full line-up, consisting of more than 100 films, on the first week of May.